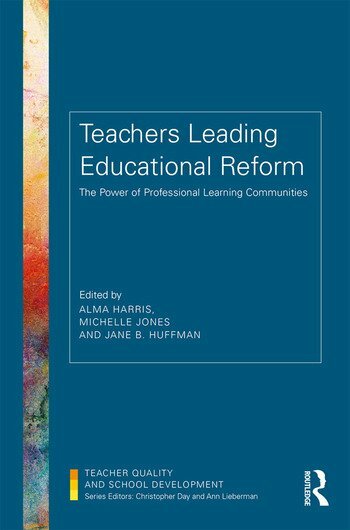 Teachers Leading Educational Reform explores the ways in which teachers across the world are currently working together in professional learning communities (PLCs) to generate meaningful change and innovation in order to transform pedagogy and practice. By discussing how teachers can work collectively and collaboratively on the issues of learning and teaching that matter to them, it argues that through collective action and collaborative agency, teachers are leading educational reform. By offering contemporary examples and perspectives on the practice, impact and sustainability of PLCs, this book takes a global, comparative view showing categorically that those educational systems that are performing well, and seek to perform well, are using PLCs as the infrastructure to support teacher-led improvement. Is the PLC work authentic? Is the PLC work being implemented at a superficial or deep level? Is there evidence of a positive impact on students/teachers at the school/district/system level? Is provision in place for sustaining the PLC work? Teachers Leading Educational Reform illustrates how focused and purposeful professional collaboration is contributing to change and reform across the globe. It reinforces why teachers must be at the heart of the school reform processes as the drivers and architects of school transformation and change. Alma Harris is Professor of Educational Leadership at the University of Malaya, Malaysia. Michelle Jones is Assistant Professor of Education at the University of Bath, UK. Jane B. Huffman is Emeritus Professor of Educational Leadership at the University of North Texas, USA.